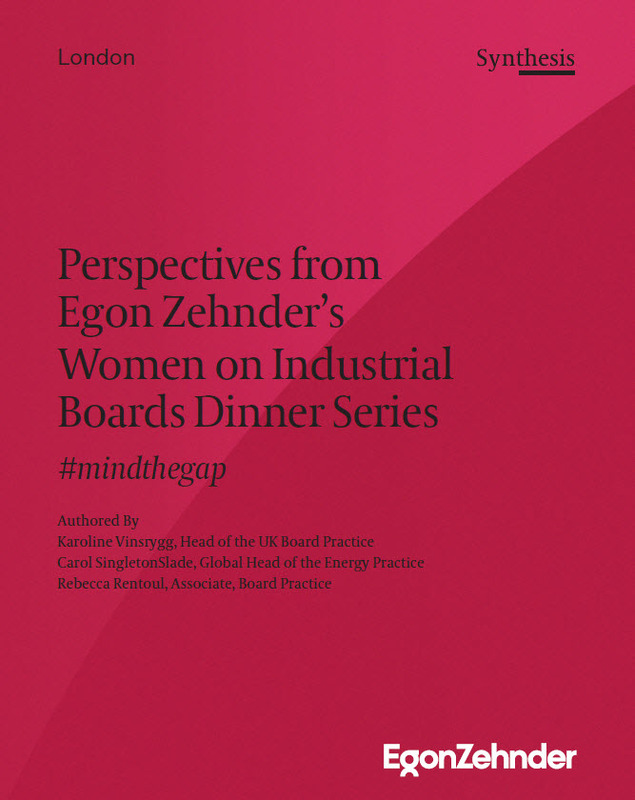 Egon Zehnder London hosted its second event in a dinner series for women directors of industrial boards. It is very rare to be appointed Chair from outside of the company; the female chairs we had around the table had largely been promoted from within. Most felt it is important that boards see potential in people, particularly in first-time chairs. 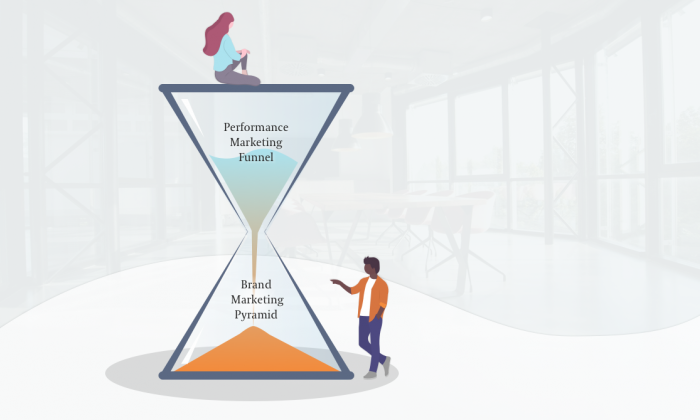 The search firms, as well as the nomination committees, could do more to introduce female candidates that are Chair-ready – utilize Egon Zehnder’s Potential Model and reference candidates ferociously to make sure they are ready for the step-up. Holding the role of Senior Independent Director (SID) opens up the opportunity to be seen as “chair-ready”; but normally on a different board because of timing/sequencing and because the SID typically handles the chair succession on their own boards and thereby are conflicted. Boards are no different than society at large: 51 percent of the world, and of consumers, are female. I want a board that comes from the future; comes from where we are going as a business. It is important that the digital director can contribute more broadly. We need to focus on getting the SIDs to feel responsible for getting more women elected as chairwomen. The nomination committee is pivotal to getting more women appointed as CEO. The role of the RemCo Chair: A blessing or curse? It seems like chairing the remuneration committee is becoming a stereotypical “woman’s job” on the board, as more and more women are being approached and appointed as RemCo chairs. Is that potentially diminishing the role? Most of our guests agreed that – on the contrary – the RemCo chair role has become a very important role on the board: It is often the toughest board leadership role these days, particularly given the scrutiny of pay and benefits. It therefore requires a lot of skill and provides the committee’s leader with the opportunity to have exposure to investors. This in turn is helpful in building an external profile; which is additive on the journey to becoming Chair. Another benefit is that it gives the committee leader the opportunity to refine her board leadership skills – and demonstrate to her fellow directors that she is growing in the role and getting ready for bigger responsibilities around the table. 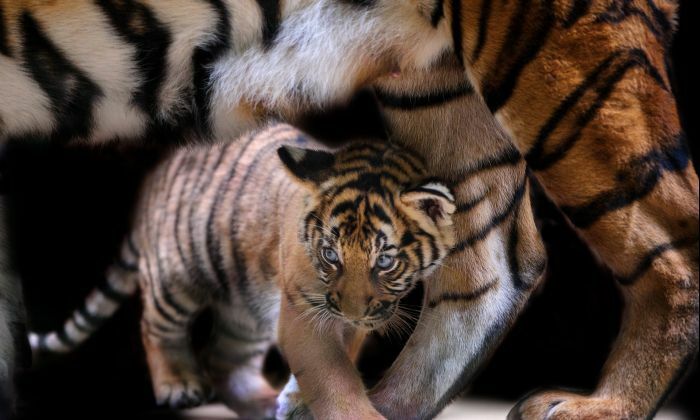 What are the virtues (if any?) of having a digital director on the board? The pace of transformation on boards: Too slow? Most organizations are in transition – but does the board transform at the same pace? We could think about two tracks for directors: One track will be those who stay for the long term (maybe even beyond 9 years)[CSM1] to be the foundational/institutional custodians. The other could be those who are brought in to impact shorter term disruptions and are more open to rolling off sooner, once the organization has moved ahead. The goal is to have a “fit for the future” board – and this needs a strong Chair and SID. Most directors are not as aware of the future needs of a business/market/sector as they should be. The NomsCo should relish the challenge to operate as a proper committee in the same way that audit and remuneration do. Otherwise they can find themselves clambering about, rather than properly considering succession. Perhaps there would be merit in splitting up the roles of NomsCo chair and Chair of the board? It would give others a chance to have greater exposure and responsibility. Women in Brazil are highly ambitious and place great value on career growth and development opportunities, according to Egon Zehnder’s 2017 Leaders & Daughters Global Survey. Almost all (92 percent) of Brazilian women in the early stages of their careers aspire for executive/senior leadership ranks — the highest among all countries surveyed.